The Telegraph on it's front page on Monday said that Boris Johnson is back. After resigning as foreign minister last week over Prime Minister Theresa May's compromise plan for Brexit, Boris Johnson is back at his old job as a columnist at the eurosceptic Daily Telegraph newspaper. "He's Back," the paper said on its front page on Monday. Johnson was named foreign minister in July 2016 after playing a leading role in the Brexit referendum campaign. He was forced to give up his regular columns, which a spokesman said were "inappropriate" for his new role. When he gave up the newspaper job he also had to renounce the salary of &#163;275,000 (311,000 euros, $365,000) that went with it for a more modest ministerial income of &#163;143,789. The 54-year-old Johnson, who is famous for his frequent gaffes and off-colour quips, started his career as a journalist and has worked on and off for the Daily Telegraph for 20 years. He was a Brussels correspondent for the newspaper between 1989 and 1994, becoming famous for virulently eurosceptic articles, after being sacked by The Times for making up a quote. During two years in government, he still penned around 20 articles for the Telegraph in which he often undermined May's position and called for a more hardline approach to Brexit. 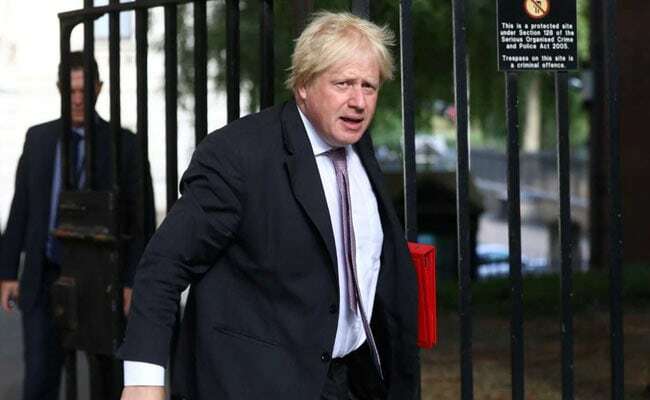 Johnson dramatically resigned on July 9 saying that the Brexit "dream is dying" and warning that May's latest plan risked turning Britain into a "colony" of the European Union. In his article on Monday he appealed for people to take a more positive view of Britain's prospects outside the EU but otherwise largely avoided the issue, saying he would resist "for now" the temptation to "bang on about Brexit".